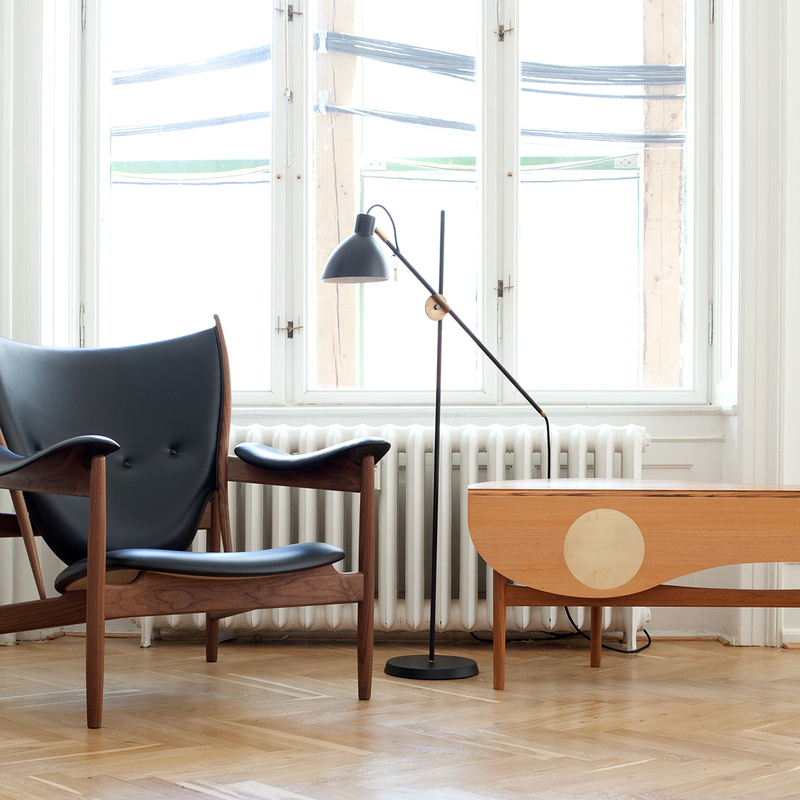 The Butterfly Table (1949) by Finn Juhl, is a very rare table and it is hardly ever produced since then. 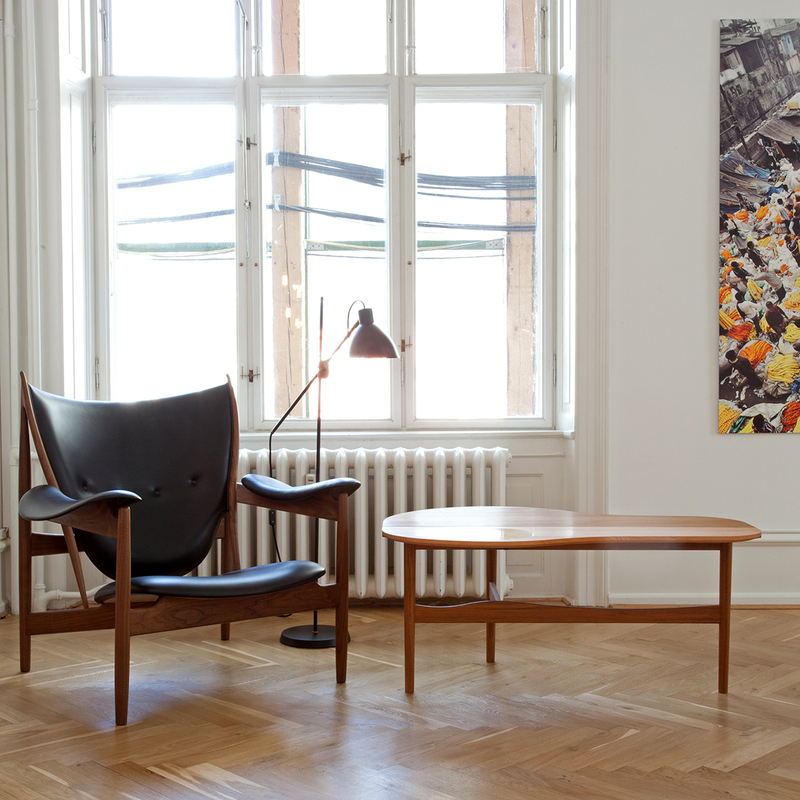 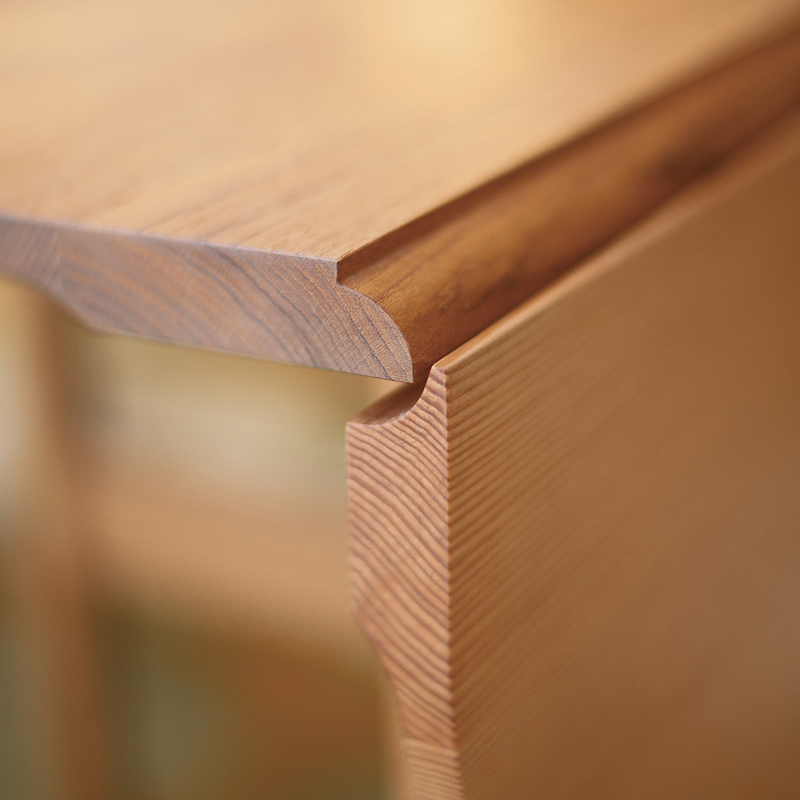 But 2015 it was reintroduced to the expanding collection of design from Finn Juhls hand currently in production. 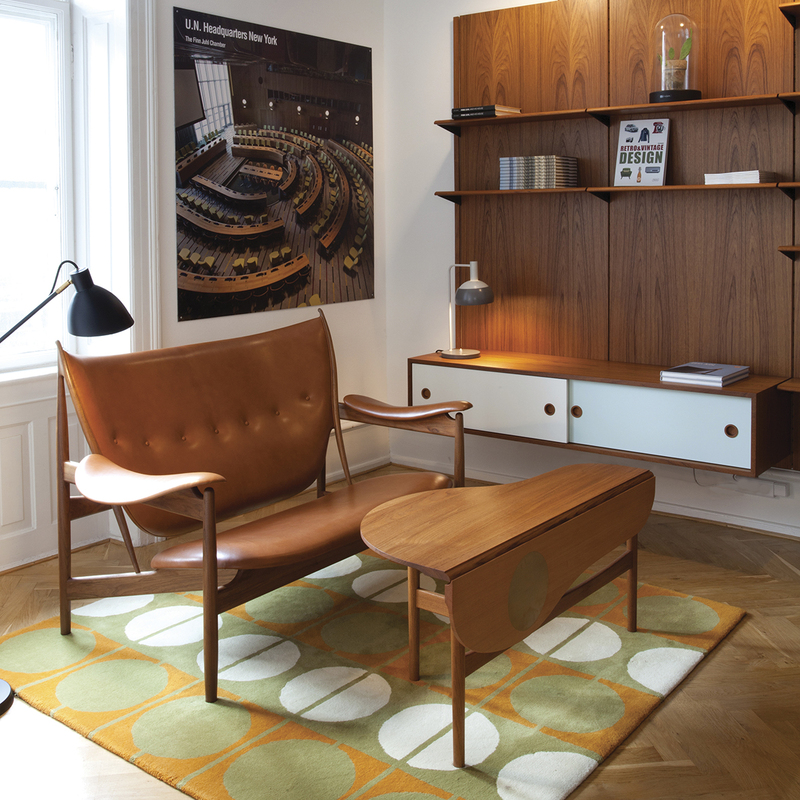 Together with the iconic and famous Chieftain Chair and sofa, as well as the Egyptian Chair, the Butterfly table was presented at the Cabinetmakers Guild Exhibition in 1949 at Cabinetmaker Niels Vodders stand. 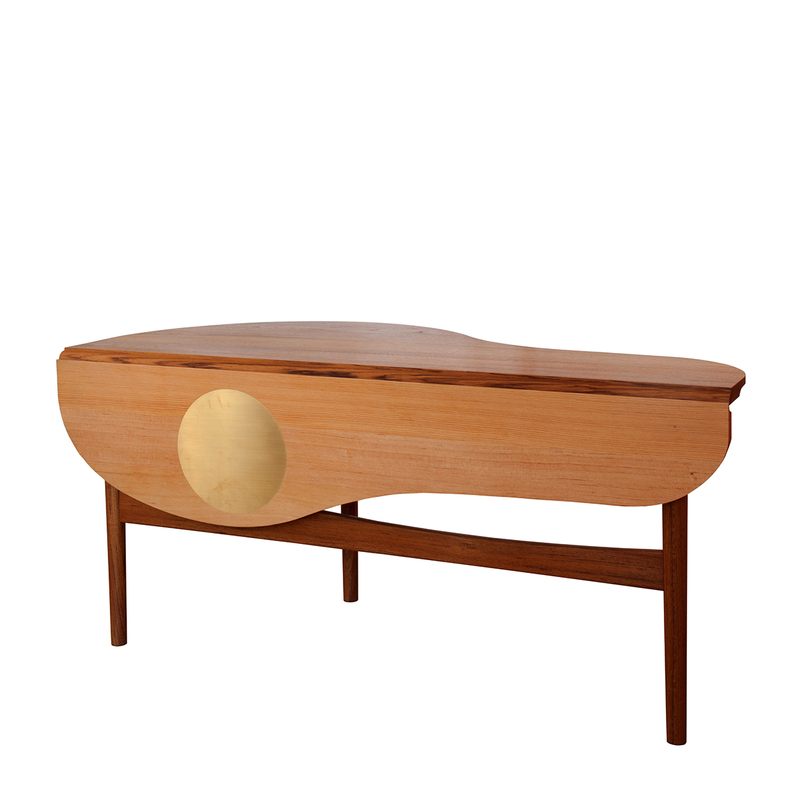 The butterfly Table is a delicate coffee table in solid teak with a drop leaf in Oregon pine and an inlayed round brass plate flush in the table top presumably for a hot tea pot or just a nice decoration. 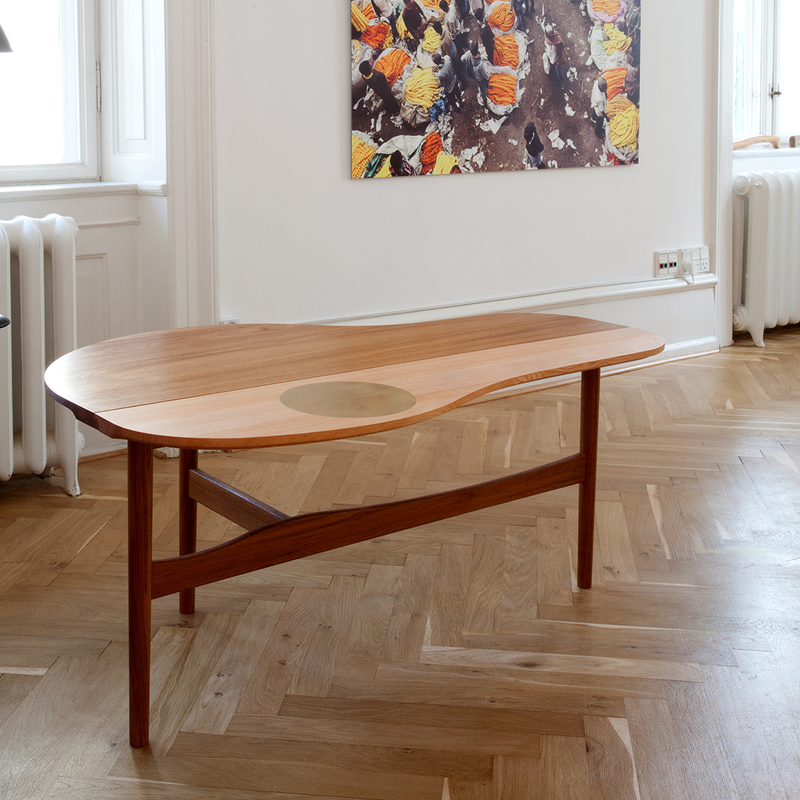 This 3 legged table is typical Juhl with the organic shape inspired by modern free art and wonderful details which makes one treasure such a piece.